Schneider Electric Recruitment 2019: Want to get hired by the Schneider Electric recruiters? then, check our page as we have brought you the latest Schneider Electric Recruitment 2019 details. Candidates who have completed their Graduation in the B.E, B.Tech Streams and have 0-2 years of experience can only attend the Schneider Electric Recruitment Process. Furthermore, all the candidates who get selected through the process will be appointed as Mechanical Designer. Those who have the passion to work with the Schneider Electric must apply with the help of the Online Registration link attached to this page. We have also given you the detailed Schneider Electric Eligibility Criteria 2019, Job Description. Check them and then click on apply now. 1.3 How To Apply For Schneider Electric Recruitment 2019? Those who are willing to apply for the Schneider Electric Recruitment 2019 have to check the Schneider Electric Eligibility Criteria 2019. Qualifications & Experience: B.E/ B.Tech in Mechanical Engineering & 0-2 years of experience. 3D modeling and designing experience in ProE/ Creo. Modules: Part, Sheetmetal, Assembly and Drawing. Should be a team player and be able to work in a multicultural team. Completing all modeling assignments with expected QUALITY. Completing assignments day-to-day within the specified schedule. Hands of experience in manufacturing, or if have worked closely with manufacturing will be an added advantage. Designing and manufacturing experience in sheet metal will be an added advantage. Knowledge of low voltage switchboard/ switchgear design, installation, and use. Ability to interpret basic front elevation, one-line, and schematic drawings. Experience in mechanical design of low/medium voltage switchgear. Ability to train other engineers on Creo Software. 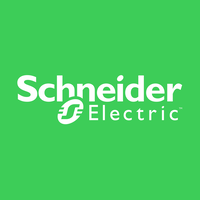 Schneider Electric is a multinational company which manufactures products such as building automation, switches and sockets, industrial safety systems, electric power distribution, electrical grid automation, and critical power and cooling for data centers. And founded in 1836, it is the parent organization of Square D, Pelco, APC, and many others. Schneider Electric is one of the Fortune Global 500 companies and is a part of Euro Stoxx 50 stock market index. The company has made its business in three major sectors which are Urbanization, Digitization, and Industrialization and producing its products for various segments. How To Apply For Schneider Electric Recruitment 2019? Candidates can go to the webportal of the Schneider Electric portal @ www.schneider-electric.co.in. Or else, you can easily click on the below provided link. Select the job as per your qualification and then choose Bangalore. Then, you will find the desired post in which they are performing a suitable Schneider Electric Recruitment Process 2019. Click on the Apply Button only when you are eligible for the job. Fill all the details to log in. Download and keep it safe with you. Thus, we hope that you all have noticed the Schneider Recruitment 2019 from the current article. So, to get all such informative news, you have to keep in touch with us only on our FreshersNow.Com webpage.